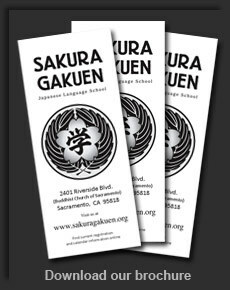 Sakura Gakuen Japanese Language School is a nonprofit school which teaches not only the language, but the culture and tradition of Japan. Our mission is to provide excellent Japanese language education for children and adults of diverse backgrounds. All are welcome to learn Japanese in a small class setting from our dedicated bilingual professionals. The school was established in 1903 as a Japanese educational organization for Japanese immigrant children of Japanese immigrants, and has evolved to serve students from all backgrounds and prior exposure to the Japanese language. The youth school is a parent-run school. Our parents arrange cultural events throughout the school year, and are active in raising funds for the operation of the school. Read more about parent participation requirements here. All youth classes are held on Saturday mornings at the Buddhist Church of Sacramento 2401 Riverside Blvd, Sacramento. Classes are offered from September through June and are held in parallel with the traditional public school schedule. 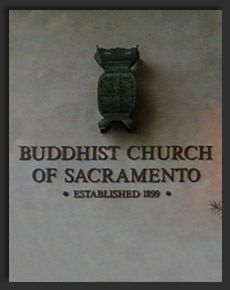 Adult classes are offered Monday evenings at the Buddhist Church of Sacramento. Adult courses range from beginner to kanji and test preparation. Any ability, beginner to advanced, is welcome to join our program. Classes are designed to fit the busy adult and most do not require homework or tests. Making learning fun and effective is our focus.